When the iPad was originally launched in early 2010, artists looking to use it as a creative tool had a relatively small range of apps to choose from. But in the two years that followed, developers have packed the app store with a vast range of powerful creative tools, now making it difficult to discover the right art app for you. As someone who uses a number of art apps, I generally ask myself two major questions when looking at new contenders: Does this app offer anything new that I can’t do already? And will this app do something that I can do already, but in a better way? Let’s take a look at KiwiPixel’s Inspire Pro and see how it compares. Inspire Pro’s interface is, for the most part, simple and easy to understand and use. The gallery area greets you at the app’s launch with impressive examples of how the app can be used. 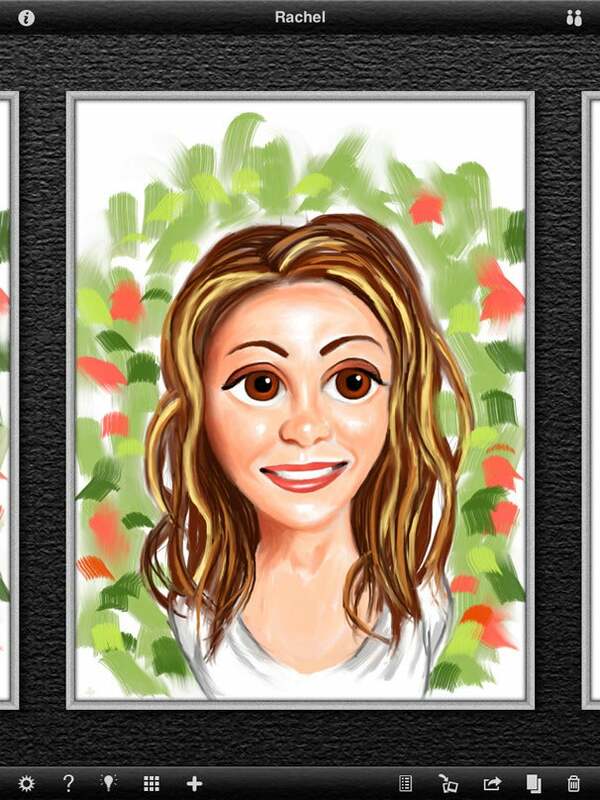 A row of buttons at the bottom of the gallery allows you to create new canvases, export, duplicate, rename, delete, and share your paintings, and provides help and tips for those new to the app. Simple interface: The program is inviting to artists who are just beginning to work on the iPad. Once you create or choose a canvas, the interface changes to reveal seven hotspot buttons around the edge of your screen. The buttons give you quick access to brush settings, undo and redo, dry brush toggle or an alternative menu with additional tools. The hotspot buttons are useful, but the additional menu set can at times make navigating the app awkward. Similarly, I found the inclusion of two different menus for the paint and brush settings confusing, as these are often found in a single menu. Once I familiarized myself with the interface of Inspire Pro, I began experimenting with paint. The first thing that impressed me was how quick the app is. Brush strokes render fast, and zooming and navigating the canvas is super responsive. While there are relatively few choices of brushes to paint with, the program compensates by offering some great options for customizing the rotation and virtual pressure of the brushes to create subtly different effects. In the Paint menu there are other advanced options that, for example, allow you to adjust the amount of paint that will be applied with each brush stroke. Luckily, every setting has popup help to explain when and how best to adjust it. Experiment in paint: Inspire Pro has relatively few brushes, but the program facilitates many effects. It took some thought to figure out why anyone would choose this app over other competing art apps available, and it only began to make sense when I discovered that Inspire Pro has easily the best color blending system of any painting app I have used. With the Dry Brush toggle button to apply and blend colors together the workflow is incredibly fast and reminds me of working with oil paints. Another impressive feature is the Recent Color palette, which saved lots of time mixing colors I had already used. Despite this, Inspire Pro does lack a major feature many artists have come to expect from digital painting apps: Layers. The lack of layer support will be a big problem for most digital painters who are used to sketching and painting on separate levels with the ability to move, resize, and rearrange sections of their work. 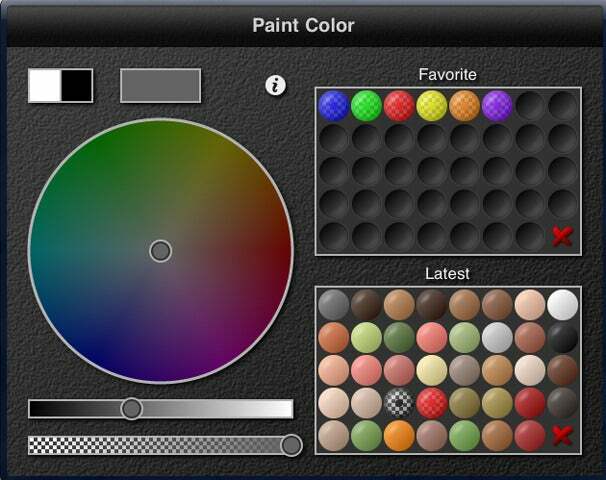 Better color blending: Inspire Pro does a better job of color blending than many popular art apps on the market. Now let’s go back to the two questions I asked at the beginning. Does this app offer anything new that I can’t do already? Not really. Inspire Pro doesn’t have any major additional features that are not available in similar apps such as ArtRage, ArtStudio, and ProCreate. As for the second question—will this app do something that I can do already, but in a better way? The answer to this is yes. Inspire Pro’s color blending is incredible and the app is amazingly fast. Also, given that I can import and export images from Inspire Pro, there is no reason why I wouldn’t use it as part of my workflow in combination with other apps. If you are looking for a standalone art app, Inspire Pro may be a letdown due to its lack of a basic feature like layers. But if you come from a traditional painting background, and are new to iPad art, this app’s simple workflow and responsive performance might be just what you are looking for.